Approximately 1 lb. plain makko incense powder (Machilus thunbergii). This makko powder is without additives such as clove and sandalwood. Also known as Tabu, Tabu no ki. Use incense powder as a binder for incense cones and incense sticks, in incense blends, or by itself. 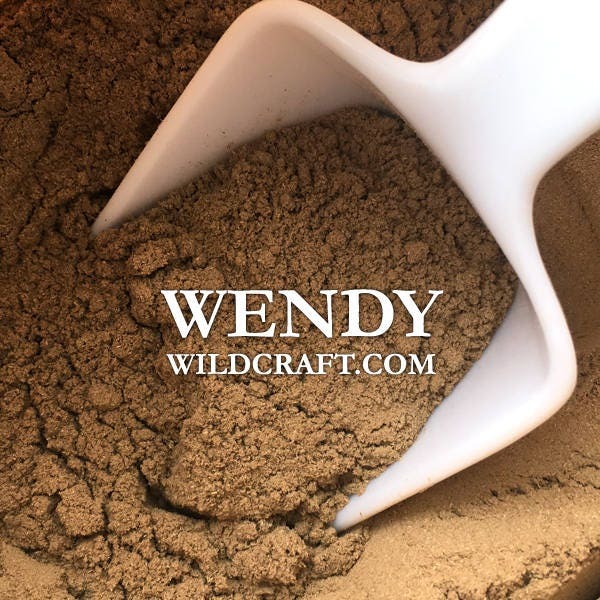 Very impressed with Wendy Wildcraft. I am a small business owner, and not only was the processing/shipping extremely fast , but her packaging and customer service is great as well. Will definitely be back for my future herbal needs. I love making makko incense. Quality product and fast shipping. Thank you! Ordered my 1lb of makko on December 14th and received it on December 20. There was a weekend on the 15th. I’m happy with the delivery. Can’t wait to use it. Thanks for providing this product.